The MTCRE Training in Karachi includes 2 days of hands-on training and intense lab workshops. 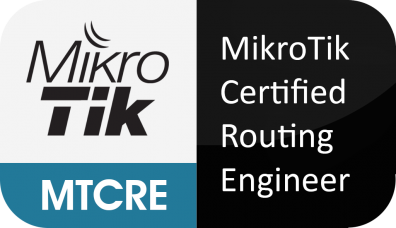 Those students who take the course and pass the examination at the end of the course will receive full certification from MikroTik. By the end of this MTCRE Training in Karachi session, the student will be familiar with routing . He will also be able to configure link redundancy (load balancing, failover), policy routing, vlan and tunneling. Training Time 09:00 AM to 5:00 PM Daily. you must have to payout for this training to ensure your availability and enrollment. we are not responsible for accommodation and traveling.